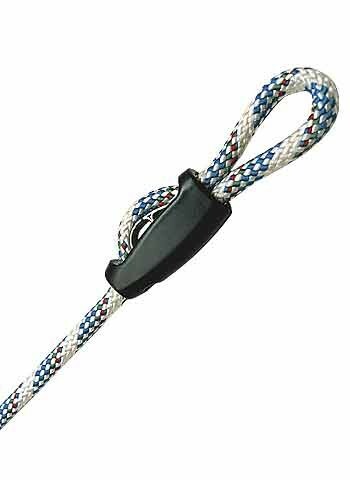 The quickest 'eye splice' cleat for a rope eye that can be undone again and again, in 4 sizes. The braided rope cleat is suitable for nearly all commercially available types of rope - even, or especially, those that can no longer be spliced. The cleat is made in a very strong UV and salt water resistant plastic with a high glass fibre content, so there is no risk of it becoming brittle. Weiterführende Links zu "Sharky Rope Cleat"